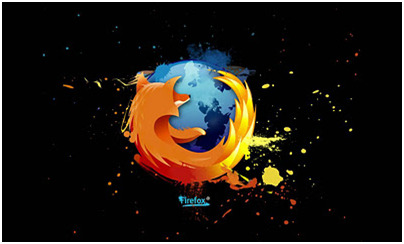 Mozilla Firefox is one of the most popular web browsers in the world, and for good reason. In addition to it being free, Firefox provides a reliable and secure internet surfing experience that many people prefer over other browsers. But like those other browsers, Firefox’s speed can sometimes begin to deteriorate. When this happens, it might take you longer to load certain webpages or download certain files, which can be quite frustrating. If your Firefox speed is suffering, the following tips and shortcuts will help you increase your speed and get Firefox back to normal in no time at all. There are a few quick tweaks that can really increase the speed at which Firefox runs. First of all, you will want to open your Firefox browser. Go up to the address bar and type in "about:config," minus the quotation marks, of course. Once those words are typed, hit enter. Next you want to type "network.http" in the filter bar. When the settings pop up, double-click to change the "network.http.pipelining" setting to true. This should increase your browsing speeds, but may not work if you are running on a proxy server. If you are indeed using a proxy server, you should set "network.http.proxy.pipelining" to true as well by double-clicking on it. After that, change "network.http.pipelining.maxrequests" to 8. Changing this number to 8 will allow Firefox to load more than one item at once when you go to any given webpage. For the next speed tweak, you will want to stay in the "about:config" menu, just like in the prior tweaks. Right-click anywhere in the window, select "new," then "integer" from the drop-down menu. Call the preference name "nglayout.initialpaint.delay," then change the value to the number 0. Adjusting this setting will lower the amount of time Firefox waits before displaying a webpage’s content. There are also many other settings that can be tweaked in the "about:config" menu. Some are very advanced and should only be altered by users who are very familiar with Firefox's settings. If you have a lot of add-ons installed, Firefox could take a lot of time to startup. Removing useless extensions and plugins would help with that. Some handy shortcuts can make your Firefox browsing experience a bit speedier. On your keyboard, hitting the spacebar whilebrowsing will allow you to scroll down. Holding down the shift key plus thespacebar will do just the opposite and scroll your page up. Since Firefox iswell known for its tabbed browsing, it would only make sense that there wouldbe a shortcut for opening a new tab. To do this, just hold the control key andthe letter "T." Hitting the "F5" key will reload anywebpage for you. 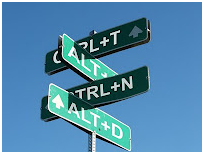 Holding control plus tab will take you to the next tab.Lastly, holding down the alt key plus the home key (above the numbers on yourkeyboard) will take you directly to your home page.There are a few other shortcuts that exist for Firefox as well. If you usebookmarks, giving them keywords will allow you to access them much quicker. Allyou have to do is go to your selected bookmark and right-click on it. Choose"properties," enter an easy-to-remember keyword in the keyword field,then save it. When you type that keyword in your normal address bar, yourbookmark will appear. Also, when you wish to access a specific site on your computer, do not worryabout typing the complete URL in the Firefox address bar. If you simply enterin the name of the website, such as "Google," then press control plusenter, the rest of the address (www and .com) will be filled in for you if thewebsite has a .com domain. If the website has a .net domain, press shift plusenter. For .org websites, press control plus shift plus enter. Although theseshortcuts can take some time to get used to, they can really save you time andmake it easier to surf the web.If you are having issues with your Firefox speed, take a few minutes tofamiliarize yourself with these tweaks and shortcuts. Once you see how easy itcan be to increase your Firefox speed, you will be glad you took the time tocheck them out.